"Living Coral welcomes and encourages lighthearted activity. Symbolizing our innate need for optimism and joyful pursuits, PANTONE 16-1546 Living Coral embodies our desire for playful expression." As the leading provider of custom area rugs in the Northwest, Mafi International strives to stay up to date with the latest interior design trends. Our Bellevue and Tacoma showrooms consistently display area rugs that feature a variety of current trends, and also feature our Mafi Signature custom rugs collection, which allows customers to incorporate their own colors and design features. 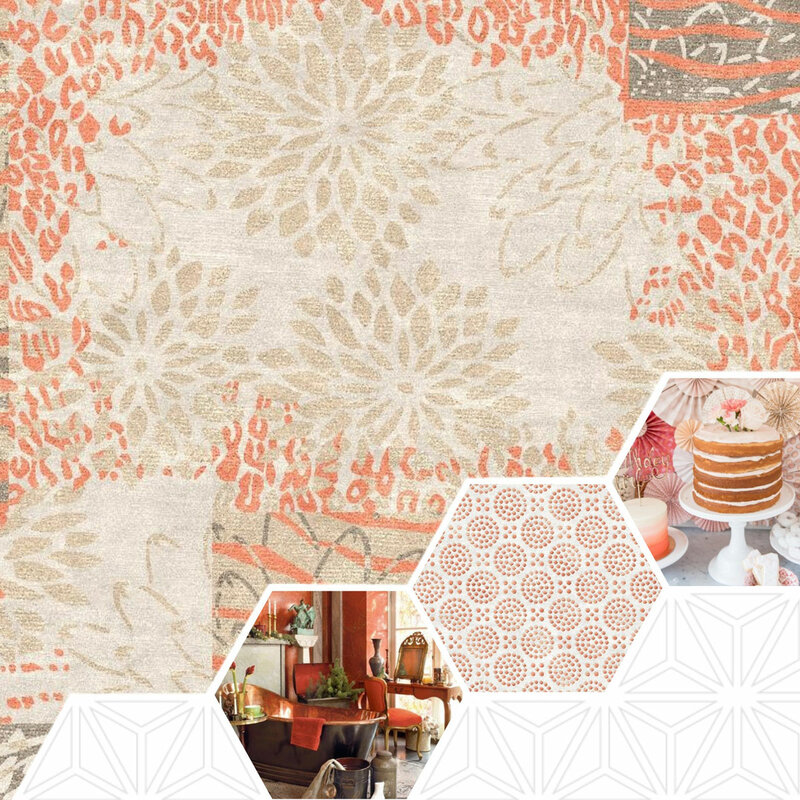 Whether you're looking to add a simple touch of this year's color of the year into the room you're designing or you're planning to make Living Coral your feature color, an area rug can help create the look you're going for. By incorporating an area rug into your room, you'll be able to seamlessly pull all of the various aspects of your design that have included this "life-affirming" shade together. Although our Bellevue area rug showroom carries a number of beautiful designs that feature 2019's color of the year, we understand that some of our customers have unique tastes. That's why Mafi International offers you the chance to design your very own custom rugs online. We have hundreds of patterns to choose from and the color variations are limitless. Our easy-to-use design tool helps customers create their perfect area rug design. Using this tool, you can upload photos of your space and view exactly how your rug design will look alongside other elements in your particular room. You'll be able to choose your pattern and adjust each individual color so that your design fits perfectly in the space you're creating it for. That means you can choose just the right amount of Living Coral to tie your space together. Details such as fabric and pile height are also fully customizable. After you've created your perfect rug, we guarantee delivery within 16 weeks. Visit us in-store to view our amazing collection of Bellevue area rugs or view our selection online to find a Living Coral rug that suits your space.